Metal Sculpting:- The most demanding metals used for manufacturing sculptures are bronze, brass, and copper. These are frequently casted using wax replacement technique. Wax replacement is the simplest form makes the use of a sand mold on top of a carved wax statuette. The molten metal is then poured into a mold, thus causing the metal heat to melt the wax that runs out of the escape channel. The sand cast statuette is then cooled down, washed and then given a patina or polished. Diverse combination of the chemicals results in the diverse colors that drastically alter the artwork’s mood. Manufacturing a sculpture with steel and iron has become quite common since the quality and the price of the contemporary welding tools makes it less troublesome to work with these harder metals. The industrial pieces of art that are made up of stainless steel have taken a common place since years. Clay:- Clay is the long-standing favorite choice for making sculptures due to the fact it can be worked with using either the carving technique, additive method, or by the reductive procedure. In the additive method, separate pieces are put together prior to firing the statuette in a kiln for bringing it to the final shape and structure. Other Materials:- Glass is another demanding sculpting material. Glass sculptures are not easy to make and needs the skills of the highly experienced manufacturers. Unfortunately, this material has high-end shop flair needs, thus, making it a bit inaccessible outside the professional studios and the art colleges. The organic materials such as wood are famous as the base material for the folk art applications. Wood is perfect for using with the lacquers, thus, making it highly versatile in various effects that can be conveyed. Ice as a material for manufacturing sculptures is often considered to be an unsung material due to its transient nature office. However, it is truly beautiful if used correctly. Ice is considered as one of the most unique sculpting materials in many countries. 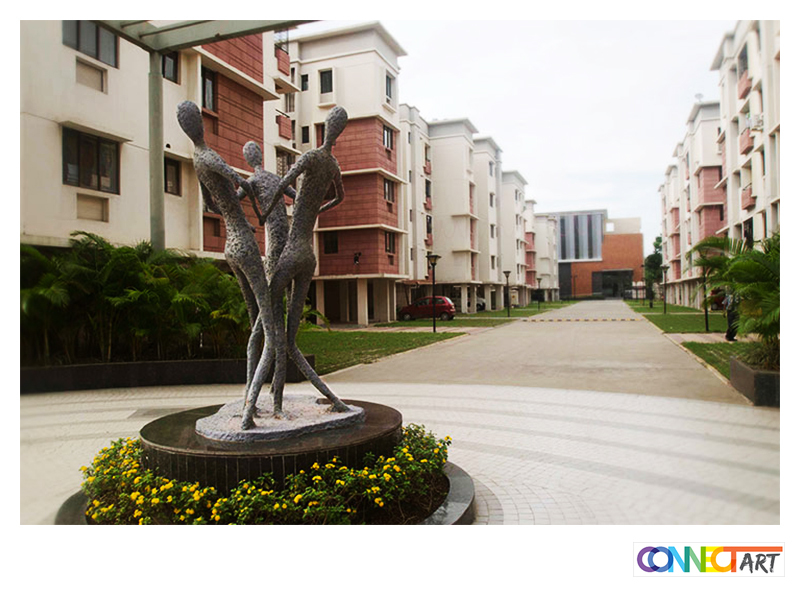 Connect Art Kolkata, the most reputed sculpture manufacturer in the city makes the use of varieties of durable materials for making sculptures in diverse forms.